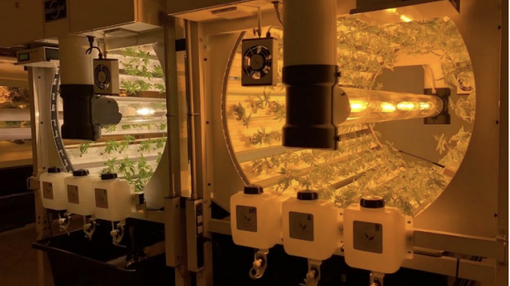 Ag-tech pot-stock, RotoGro International (ASX:RGI), has this morning updated the market on the ongoing trials undertaken at its state-of-the-art research and development facility in Ontario, Canada. The standout highlight here lies in the significantly increased cannabis yields RGI has been seeing, which have consistently outperformed traditional ‘flat deck’ style systems occupying the same floor space. Here, cannabis grown with the RotoGro Hydroponic Garden System has consistently yielded 7–9 lbs (3-4kg) of dry final flower product per harvest, compared to 2.8lb (1.3kg) with flat deck systems. During the first quarter of the year, RGI designed and built the facility in question for the cultivation of both pot and perishable foods. The facility includes two grow rooms, an on-site laboratory, germination and propagation rooms, and a control centre for the remote monitoring of growing facilities around the world (a component of RGI’s growing management services). 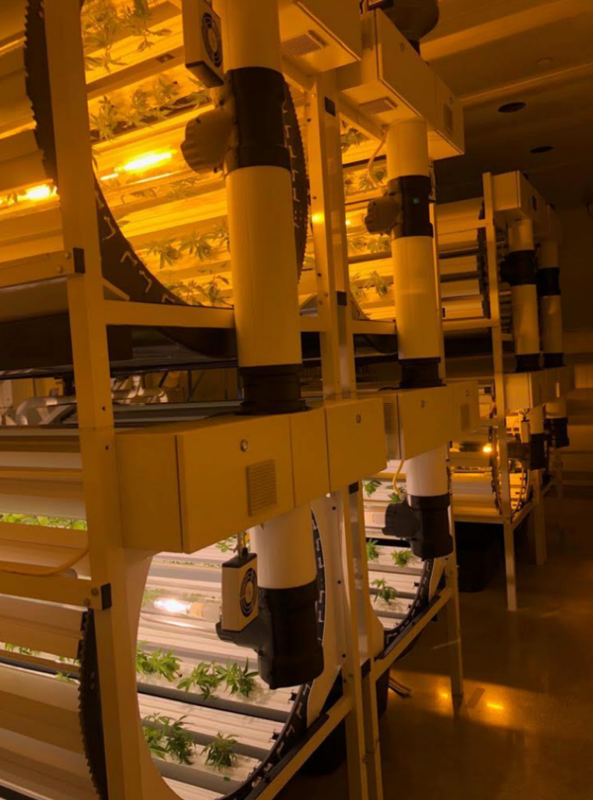 Designed to showcase the substantial space, cost and yield advantages of the RotoGro System, the cannabis grow room houses two four-pod arrays of four-feet systems, while the perishable food grow room houses a new eight-foot system, together with one four-pod arrangement of four-foot systems. Both grow rooms have been constructed to demonstrate a side-by-side comparison with a traditional flat deck system occupying the same amount of floor space. Testing to date has focused on varying light sources, including light-emitting diodes (LED), ceramic metal halide lamps and high-pressure sodium lamps. This testing has been combined with adjusting rotational speeds to better understand their impacts on yield, room temperature, humidity management, CO2 demand and nutrient consumption. Manwhile, in the cultivation of cannabis, the results of these tests have proven to be highly promising, with each four-foot system consistently yielding 7–9 lbs (3-4kg) of dry final flower product per 60-day cycle. Perishable food cultivation has provided equally surprising results regarding crop density, yield and cycle times. A single RotoGro System occupies a footprint of three square meters or 32 square feet. The comparative yield of a traditional indoor flat deck system occupying the same footprint produces on average 2.8 lbs per harvest. The average production per harvest for indoor flat deck hydroponic production is taken from a study by BOTEC Analysis Corporation in conjunction with Carnegie Mellon University and TRiQ, Inc., which saw 16 legal pot growers interviewed and studied. On top of the significantly increased yields achieved by a single RotoGro System, when stacked two high, the average yield is 14-18 lbs, and when stacked three high, the average yield is 21-27 lb. These yields are achieved all within the same footprint. Moreover, this doesn’t take into account the shorter growing cycle and greater number of harvests per year offered by the RotoGro System — this translates into greater advantages still over traditional flat deck hydroponic growing. On top of this, during October, RGI kicked off trials on behalf of Freshero, covering a range of perishable food products spanning leafy greens, herbs, cherry tomatoes, cucumbers, capsicums and strawberries. These trials are progressing nicely, with the Freshero technical team onsite this past week. By way of background, RGI penned a strategic deal with Freshero back in August within the organic, fresh produce supply industry. Freshero is an aspiring organic fresh produce grower with long-standing relationships across the wholesale, retail and food service space in Australasia and Southeast Asia. RGI and Freshero have now undertaken economic analysis for a range of products suitable for the Australian market, as well as facility specifications and design layouts for Freshero’s own research grow room in Australia. Trials will continue into the new year, at which point the duo will begin designing Freshero’s first perishable food facility. RGI Managing Director, Michael Carli, noted that continual research anddevelopment at the company’s state-of-the-art facility provides a strong foundation for supporting a wide range of clients’ needs. “This, coupled with the commencement of our qualified botanist and completion of our on-site laboratory, further facilitates the testing, scientific analysis and study of different plants and strains in both the lawful cannabis and perishable foods space,” Carli said. This latest piece of news comes on the heels of considerable highs for RGI. Last month, the small-cap pot-stock revealed that it’s acquiring Supra HC — a holder of a Health Canada-issued cannabis dealer’s licence, providing RGI company with a critical edge over both its Canadian and Australian pot-stocks peers. This strategic acquisition gives RGI the ability to legally produce its own pot products in Canada’s newly opened recreational cannabis market. Total Canadian legal weed sales are expected to exceed C$7 billion by 2019, according Deloitte — more than the C$5.1 billion Canadians spent on spirits in 2017 and on par with wine sales.